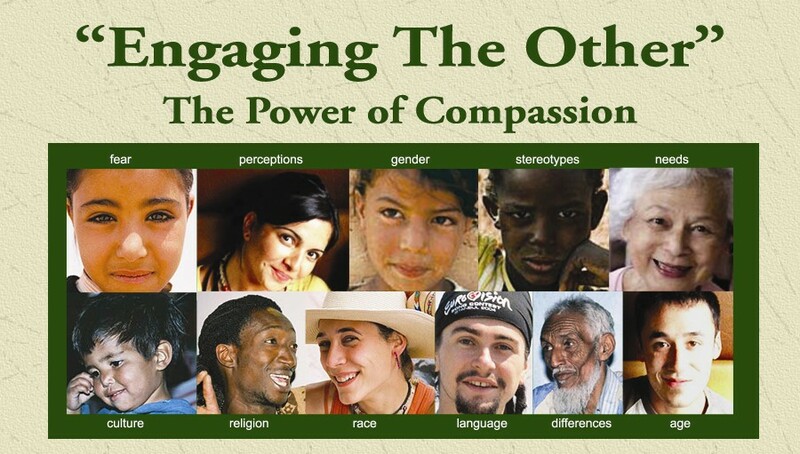 Advance a wider, inclusive public dialogue about toxic images of "Us and Them,"
and Promote compassionate, collaborative remedies and healing in our relationship with a perceived "Other." Promoting effective, collaborative action planning for shared aims and bridging the divide. "Building Cooperation Across Political Divides: A Transpartisan Conversation"
Thoughtful leaders from across the socio-political spectrum engaging in healthy and respectful dialogue, recognizing common ground on fundamental intentions, honest differences in perspectives, and exploring possibilities for mutual cooperation on how to best go about meeting shared goals. The program is highly participatory, encouraging all attendees to contribute through topical round-tables, dialogue and action planning groups, open space, a resource hub, on-site blogging, and other interactive aspects that lead to practical applications and collaboration beyond the conference. Skilled facilitators bring their expertise and proven methods to add to the quality and effectiveness of a working community. To reduce economic barriers to participation there is no program fee, however registration is required. ....everyone needs to be part of. creating a shared space to promote deep listening, mutual understandings, appreciation, support, and concerted cooperation in finding common ground and practical visions for strategic action on healing the divide. Through respectful, person-to-person engagement in a trusting environment the conference seeks to identify both common ground on fundamental needs & intentions, and how we may differ on how to go about meeting those needs and intentions we have in common. Along the way fundamental questions, dilemmas, and implications are considered, including how hostile, enemy identity is formed, perpetuated, and manipulated, and how to challenge embedded negative belief systems that ascribe nefarious intent and promote adversarial perceptions of "The Other." The central task is to tap our shared wisdom, compassion, and responsibility in developing practical strategies for applying results to the current state of relationships, and create immediate opportunities for collaborative action following the conference. Outcomes are co-created by conference participants. 1) Linking with other like-purposed events and efforts to contribute to the stream of like-purposed initiatives around the country by progressively building on each others energy and outcomes for a larger and sustained impact. 2) Producing a resource of information, references, and opportunities for participants to become involved in efforts to place the topic on the wider public table, increase awareness and solidarity, and encourage empowered civic engagement. 3) Formulating findings and preparing joint recommendations on reducing polarization and animosity within the public discourse for public policy makers, social-political representatives, and the general public. 4) Promoting working networks of transpartisan bridge-building activists conducting on-going community-based dialogue groups across the country to widen public involvement and continue the process of compassionate engagement. 5) Developing a regularly meeting virtual working group of key stakeholders to follow up on identified points of common ground and interests, and explore proactive possibilities for mutual support and cooperation in advancing them. 6) A shift away from distrust, division, polarization, and hostility in public conversation, and toward a more civil and constructive path for addressing honest issues of disagreement we as a society have different perspectives and opinions on. The conference is a highly interactive learning community meant to build from day to day toward collaborative action plans applied beyond the conference. Sessions are designed to offer space for deep listening, exploring common needs, intentions, and concerns, sharing diverse perspectives, imparting knowledge and skill, and stimulating increased understanding, practical applications, and next steps in putting principles into practice. In-depth Dialogue and deliberation are the essential engines of the conference. As such, a central driving feature of the program is conducting interactive topical round tables and dialogue groups to actively engage all participants in exploring and addressing conference themes, and contributing their expertise, perspectives, and personal experiences. Final Processing, Action Planning, and Collaboration building session for next steps beyond conference. Community and Social-Political activist and leaders, Peace activists, Government and NGO representatives, Cultural/ethnic and spiritual community representatives, Members of minority and majority groups, Human service providers, Visionaries and front-line thought leaders, Academics and students, Social Science researchers, Representatives of university departments, professional associations, academic groups, and anyone from the public drawn to the mission of the conference. One of the central goals of the ETO Conference is to contribute to the stream of like-purposed initiatives around the country, to help support and build on each other’s processes and outcomes for a larger and sustained impact. By using available communication technologies during and between events, and design cooperation such as linking program elements to create a flow from one event to the next, we hope to promote additional coordination and synergy between such efforts. The Other often conjures up images of strange faces, practices, and beliefs, usually in faraway places. At the same time that it challenges our understanding, our sense of normalcy, and sometimes our sense of security, it is a label we all share.